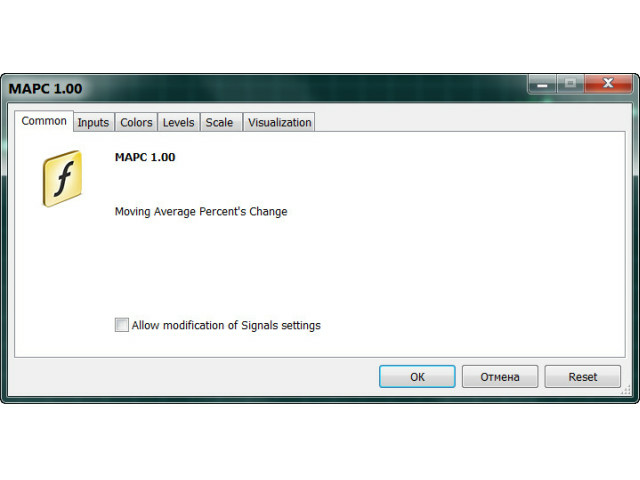 MAPC (Moving Average Percent's Change) shows the Moving Average's percent change from one period to another selected period allowing you to track the smoothed price change rate. 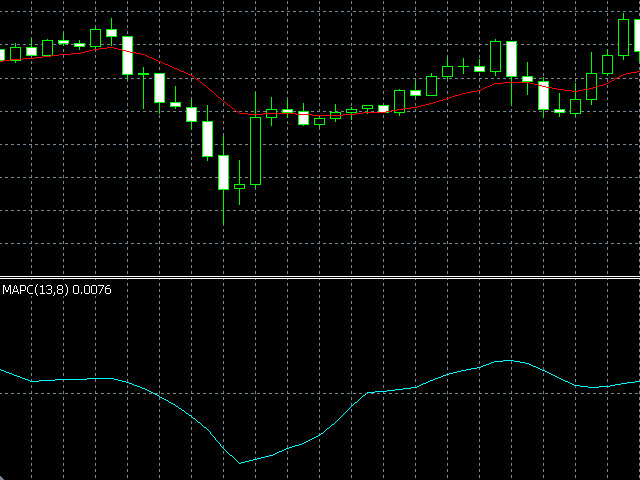 MA[i - n] - value of the Moving Average that is n periods away from the current Moving Average value. Displacement - shifting the Moving Average from one period to another selected period (Displacement = n in the above equation). Note: if Displacement is less than 1 or more than Period, the following alert appears: "Incorrect Displacement value. 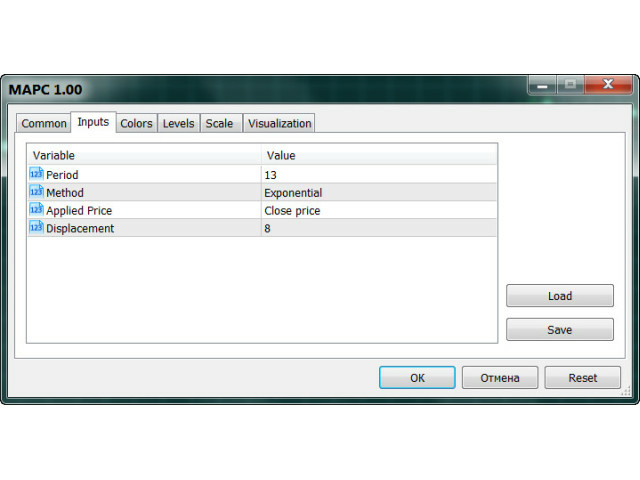 Indicator will use value Displacement=Period".